This is a book about the need for redemptive narratives to ward off despair and the dangers these same narratives create by raising expectations that are seldom fulfilled. The quasi-messianic expectations produced by the election of President Barack Obama in 2008, and their diminution, were stark reminders of an ongoing struggle between ideals and political realities. Redemptive Hope begins by tracing the tension between theistic thinkers, for whom hope is transcendental, and intellectuals, who have striven to link hopes for redemption to our intersubjective interactions with other human beings. 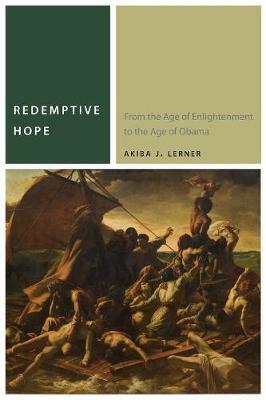 Lerner argues that a vibrant democracy must draw on the best of both religious thought and secular liberal political philosophy. By bringing Richard Rorty's pragmatism into conversation with early-twentieth-century Jewish thinkers, including Martin Buber and Ernst Bloch, Lerner begins the work of building bridges, while insisting on holding crucial differences in dialectical tension. Only such a dialogue, he argues, can prepare the foundations for modes of redemptive thought fit for the twenty-first century.